Just days after a historic handshake between the heads of North and South Korea, two countries still technically at war, former UN Secretary General Ban Ki-moon says he is hopeful the moment will set the tone for peace that lasts beyond the Olympic Games. Against a backdrop of some of the world's fiercest athletic competition, a different sort of sport — the diplomatic variety — is creating a storyline that will extend far beyond the medal ceremonies in Pyeongchang. Just days after a historic handshake between the heads of North and South Korea, two countries still technically at war, former UN Secretary General Ban Ki-moon says he is cautiously optimistic that the moment will set the tone for a lasting peace. "I have seen so many cases of handshakes between and among countries and people in conflict," he told CBC News' Heather Hiscox. "Korea is one of definitely the most serious and most important cases. "Therefore, this time, the handshake between President Moon and the highest possible ranking representative of North Korea has great political meaning." "What is more important at this time is how we can keep this small window of dialogue," he added. It was on Friday at the Games' opening ceremonies that the once-unthinkable happened. With the eyes of the world watching, North Korean leader Kim Jong-un's sister, Kim Yo-jong, was all smiles as she shook hands with South Korean president Moon Jae-in. Kim Yo-jong is already drawing comparisons to Ivanka Trump as the softer, kinder arm of an administration that has steadily been ratcheting up threats about its nuclear might over the past year. North Korea conducted its most powerful nuclear test in September amidst international warnings. It's a moment that holds major significance for Ban. ​The question now, he says, is how far that goodwill will translate politically when the bright lights and pageantry of the Olympics end. The gesture comes after a New Year's address by the North Korean leader in which he extended what was seen as an olive branch to South Korea, saying he was "open to dialogue" with Seoul. 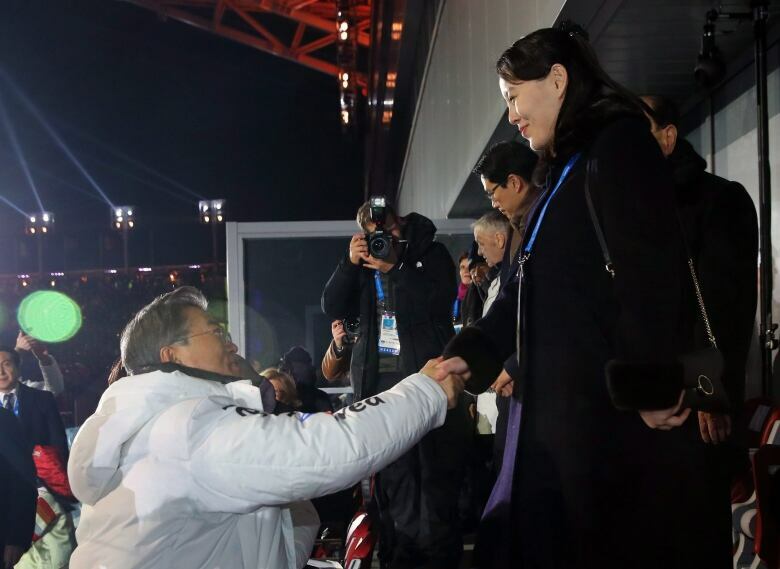 Weeks later, the two Koreas formed their first unified Olympics team. It's a far cry from the last time South Korea hosted an Olympics in 1988. North Korea boycotted the Games and was even seen trying to sabotage the event when, in 1987, a bomb planted by North Korean agents detonated on an passenger plane to Seoul, killing all 115 people on board. "The question is how soon and how seriously we'll be able to engage in dialogue after all these games are over," Ban said. "I believe the South Korean government will have to discuss this matter with close allies like the United States and other key countries and Japan and Russia." 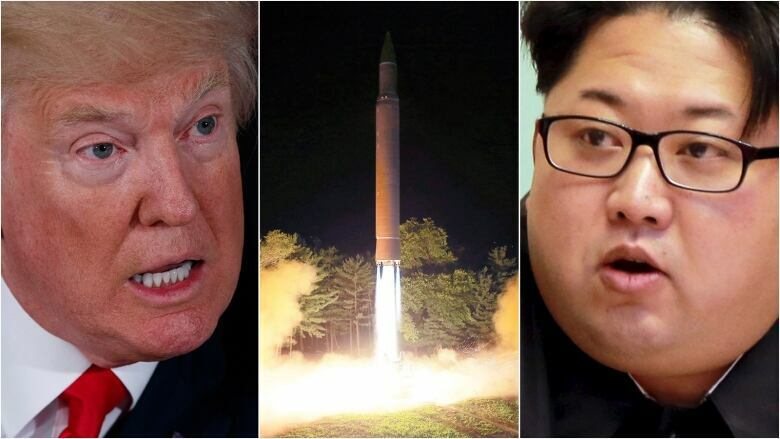 Ban also said he believes the United States is genuinely committed to a peaceful resolution to the escalating tensions with North Korea, saying the hard line being taken by the Trump administration is to ensure the regime is sent a clear message about what is and isn't acceptable to the international community. Whether Trump calling Kim "rocket man" or making references to a bigger "nuclear button" are a helpful part of that effort, Ban wouldn't comment. The North Korean leader's seeming about-face has met a range of interpretations — some more cynical than others. With the spectre of worsening international sanctions, Ban explained, some say the play-nice stance is a way to soothe the country of its dire economic conditions. "Some people just regard it as charm diplomacy," he said. But Ban, who is a former South Korean foreign minister himself, is not naive to the precariousness of the peace he hopes to see between the two countries. He stressed it will be important to keep the momentum alive. Having himself grown up under the shadow of war between a divided Korea, the resolution holds personal meaning for him. "As a child of war myself, I was able to see the tragic consequences... even though I was young at the time," he said. "Reunification is a must," he said.